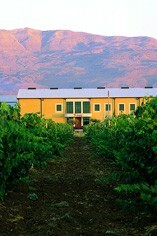 The Lebanese wine estate Massaya began in 1998 as wine-making partnership of Tanaïl Property, developed in partnership with the renown French experts Dominique Hébrard, founding family of Château Cheval Blanc, Hubert de Boüard de Laforest, of Château Angélus, Daniel Brunier of Château Le Vieux Télégraphe. Beyond the novelty factor, the Lebannon does not seem the most immediately felicitous location for vines, for reasons that are both politcal and topographical, and yet this winning French combination shows just what can be done here! 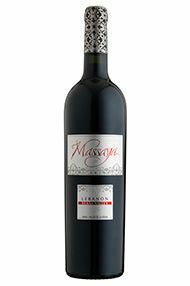 Massaya’s Tanaïl Estate is located at an altitude of 1000 meters above sea level in the Bekaa Valley, Lebanon's wine hot spot, its slopes protected by Mount Lebanon and the Anti -Lebanon mountains. Free of frost and disease, the Bekaa Valley enjoys a unique climate with long gentle summers, wet winters and an average temperature of 25 degrees; all in all perfect for viticulture. Grenache, Cinsault, Cabernet Sauvignon and Mourvèdre share the honours in the Silver Label and underline the close links between Massaya and the South of France, courtesy, in this instance, of the Châteauneuf du Pape connection.